UPDATED July 27, 2016: Air Canada has advised that the seasonal Air Canada Rouge Vancouver-San Diego flight has been doing really well and that after a short drop off of service beginning in late October, they will return this daily flight to now be year-round (instead of their initial plan of only running it during the summer months) with a smaller plane starting on December 15, 2016. 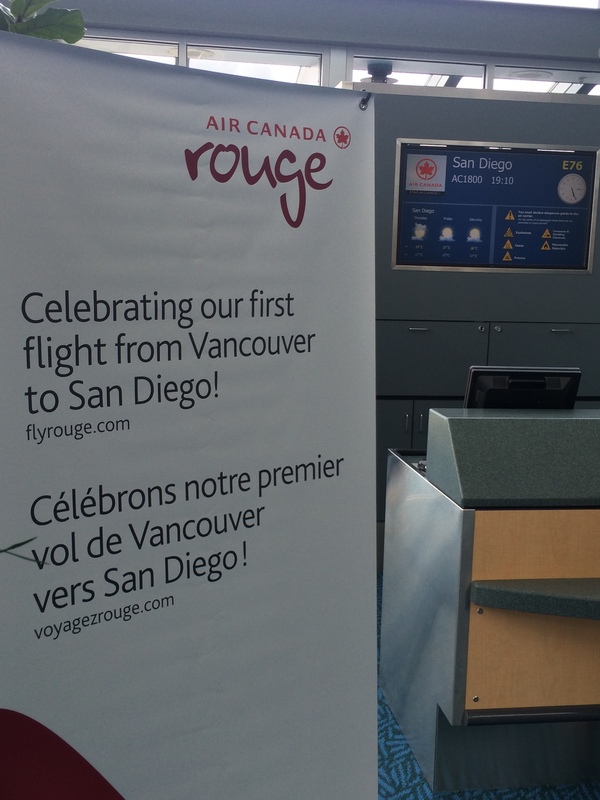 UPDATED June 13, 2016: Air Canada Rouge officially launched their daily, non-stop flights from Vancouver to San Diego on Thursday, June 2, 2016. 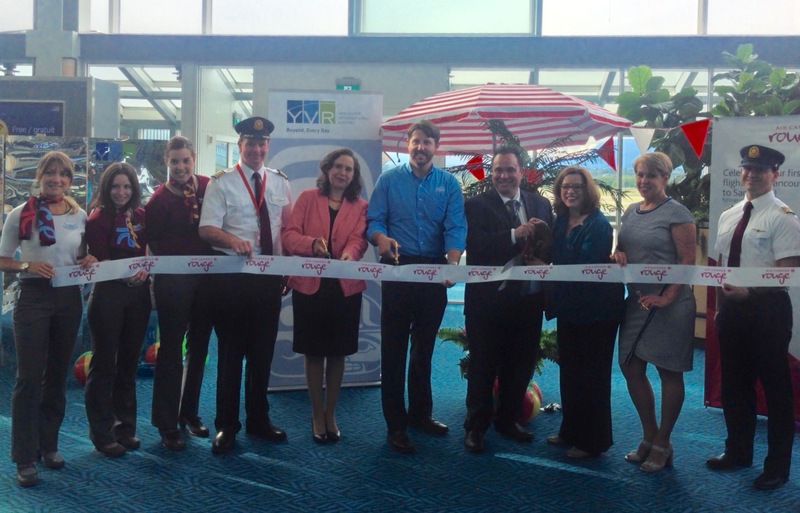 SDTA’s Travel Trade Director, Benjamin Eastman, joined the Vancouver Airport team and Air Canada staff at a special launch party for the inaugural flight departing from Vancouver airport. Those passengers traveling on the first flight were treated to food and drinks, a DJ spinning live music and a goodie bag stuffed with several San Diego memorabilia items. 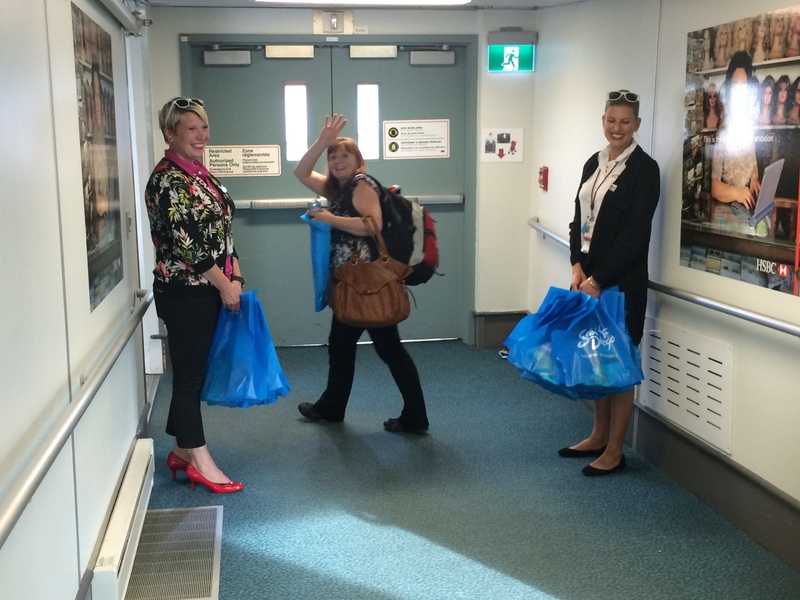 During the event, the airport, airline and SDTA each took the opportunity to welcome passengers to the new route and praise the virtues of non-stop travel between our two cities. After these comments, the group took the opportunity to officially cut the ribbon and “open” the route for travel. 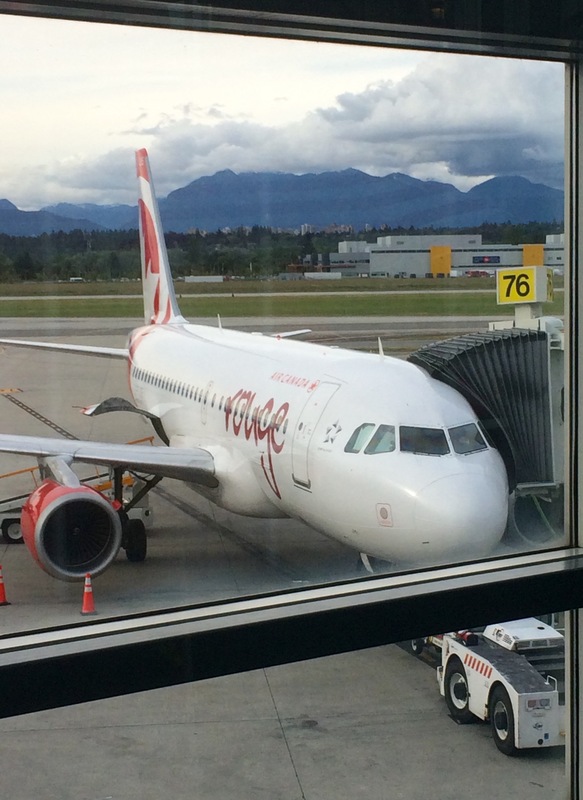 The Air Canada Rouge flight will continue flying daily through October 16, 2016. It is our hope that the airline will convert the route from a seasonal flight to a year-round one, so please be sure to promote this route with all of your contacts to ensure it is well traveled! The flight is served by an Airbus A319 aircraft seating 136 passengers. It’s routing departs San Diego at 3:25pm to arrive in Vancouver at 6:15pm. Flights depart Vancouver at 7:10pm to arrive in San Diego at 10:00pm. 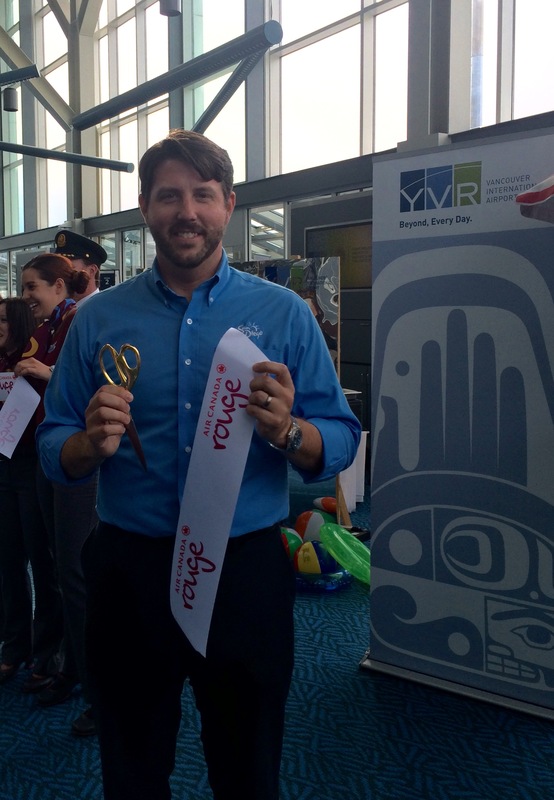 The San Diego Airport team has succeeded in securing a new Air Canada Rouge daily, non-stop flight from Vancouver to San Diego beginning on June 2, 2016. This will be a summer seasonal flight and will run through October 16, 2016.